Have you ever asked yourselves on how many ways apple cider can be used? Apple cider is real miracle of nature which can be used in preparation of home remedies for different health issues or just for refreshing entire body. It has been scientifically proven that apple cider keeps vitality, boosts metabolism, strengthens immune system, protects blood vessels, detoxify body, helps in regulation of blood pressure, cholesterol level, blood sugar level, blood circulation. Due to its disinfectant and antibacterial effects helps digestion, protects against a variety of disorders, especially infections. Its disinfectant action helps in different respiratory tract infections, with sore throat, coughing, asthma etc. Apple cider stimulates production of gastric acid and beneficially effects on nervous stomach. It also protects the gut flora from the toxic bacteria, reduces bloating and diarrhea and regenerates intestinal mucosa. Improvement of the kidney function, relieving urinary tract infection are also benefits caused by use of apple cider. It stimulates cellular construction of the skin and connective tissue and helps healing of abrasions, cuts and burns. Various skin diseases, eg. pimples, rashes and eczema can be treated with apple cider. improves mental ability. It also can help in case you have trouble sleeping, headaches and migraines. Because of all vitamins, minerals and other substances that contains, apple cider is recommended to all, especially to children, pregnant women, athletes, smokers, people under constant stress and the elderly. The way you can take advantage of all the benefits of apple cider is more than simple. According to the advice of experts of alternative medicine you should every day in the morning on an empty stomach drink a portion of organic apple cider. 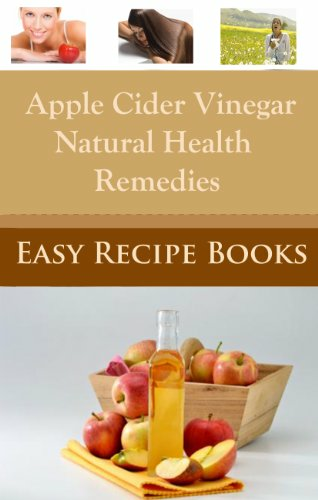 But apple cider can be used in combination with many other ingredients in order to get the best solution for your body. Here you can find recipes that you can easily prepare at your home and help your body to cure itself naturally.